Mission:To provide quality products and services through continuous innovation. Vision:To be one of the top ten energy companies in Nigeria. Address:Plot C36A, Nosak Road, Amuwo Odofin, Lagos State. 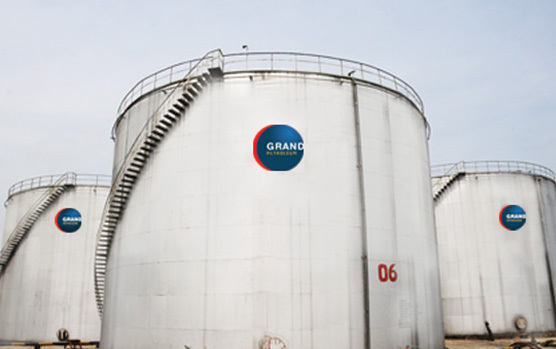 Grand Petroleum and Chemicals Limited is an integrated energy trading company that is audaciously stamping its influence on the downstream sector of the economy. The company has strong international alliances with some of the world’s noted names in the petroleum business and a 25,000MT state-of-the-art lubricant plant in Lagos. 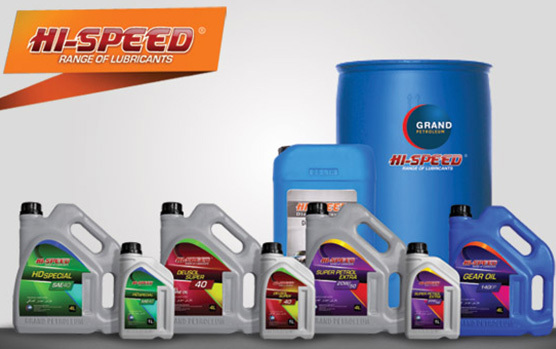 Grand Petroleum and Chemicals Limited is the sole manufacturer of Hi-Speed range of lubricants. Grand Petroleum and Chemicals Limited is certified by the Standards Organisation of Nigeria as part of the MANCAP (Mandatory Conformity Assessment). Manufacturing and Sale of Lubricating Oils. Sole Manufacturing and Marketing of the Hi-Speed range of lubricants. Grand Petroleum and Chemicals Limited is a socially responsible company that observes relevant environmental and local content policy guidelines. It executes CSR activities in its host communities.